With a background in classical ballet, Karen brings to her classes a remarkable understanding of body movement and alignment. Join Karen for classes which will transform how you view pose alignment, your posture and muscle engagement. 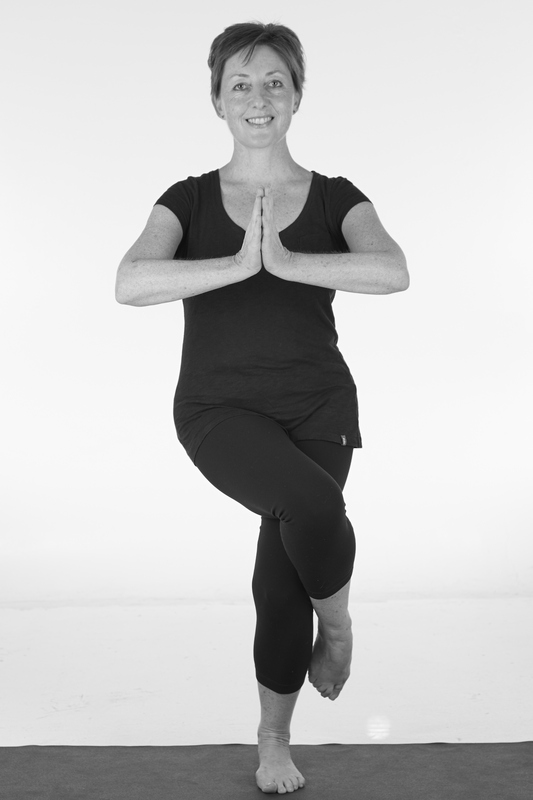 Karen is passionate about yoga and has found yoga transform both her body and her life over the years. A former professional ballet dancer, Karen has found that yoga has also done a great deal to repair the effects of professional dance on her body, bringing about a deep understanding and love of bringing balance into the body through yoga. Karen completed a 200-hour Yoga Alliance certified teacher training course at Yoga Space where she was trained by a team of experienced teachers including Don Peers. What is your favourite type of class to teach? Whether the style is basic Hatha, Vinyasa Flow or Yin, my favourite would be if the students left feeling that they’d made the all important body/mind/ breath connection and felt stronger, stretchier and more balanced. What is your favourite pose? Most definitely Savasana. I love the sense after a class, of lying completely relaxed yet rejuvenated with the ground beneath me, feeling the energy moving around my whole body. I enjoy the challenge of keeping my mind focused and alert, yet rested. I have to admit, I do succumb to sleep sometimes!! What is your least favourite pose and why? I would say Virasana just because I find it completely unnatural and uncomfortable. The reason for this is probably that I spent more than 20 years of my life and from a young age, turning my hips and legs outward for my Ballet training. To turn my hips inward now feels very odd indeed! What keeps bringing you back to your yoga mat? I always feel better after I’ve practiced yoga. I feel a sense of balance and equanimity return even if I felt particularly rushed or agitated when I started. My immune system is definitely stronger when I practice and because yoga addresses the Endocrine system so thoroughly, my emotions are more even. What is the strangest place you have done a yoga practice/pose? I wish I had a really interesting answer for this one! Probably, it would have to be while on holiday in South Africa in my parent’s garden, my son climbing on my back while in Downward Dog and the Black Eyed Peas thumping in the background. Miraculously, I still managed to feel balanced afterwards! What is one of your personal quirks/habits/idiosyncrasies? I’m rather a ‘ hygiene queen’. Dirty kitchens, bathrooms and toilets make my hair stand on end. My family knows I’ll always have wet wipes in my bag! What is one thing about you that most people don’t know (until now)? Apart from my Ballet career, I’ve also been a student nurse, an assistant in a weight loss clinic, an au pair in Paris, a flight attendant, an aromatherapist and an assistant in a nursery school. I know that’s not one thing, but it’s my rather ‘varied’ past. For a class full of detail and joy of moment, join Karen who will show you something really special, her Restorative classes are particularly dreamy!